Week 24 was the week we were on vacation. I have a ton of photos from that week so I'm skipping ahead to the next week. 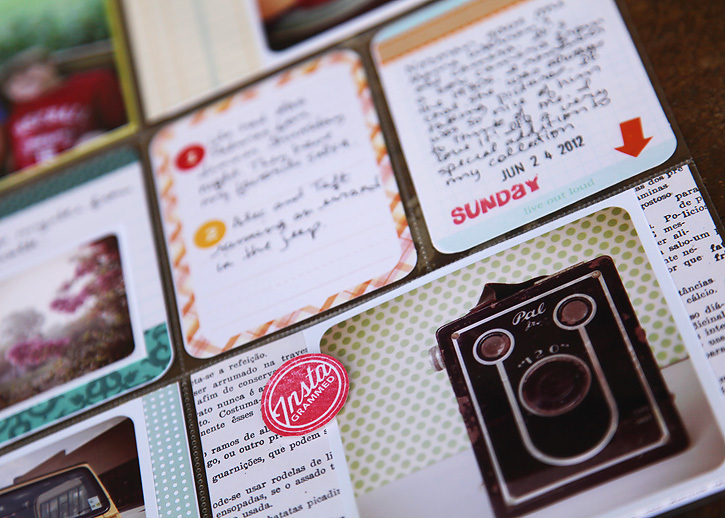 The reason is I'm very excited about the new photo pocket pages that will be out very soon! 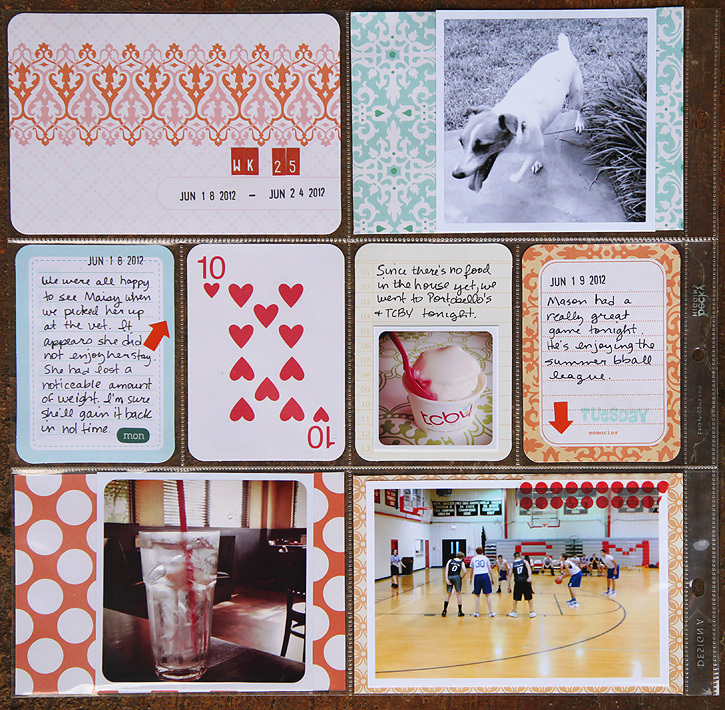 I decided to wait until I have them before I put together our vacation week because the new styles will be perfect for adding inserts of extra photos. 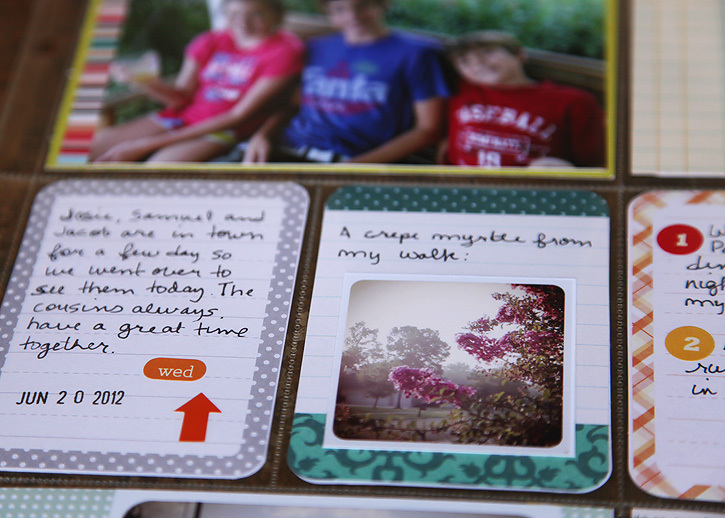 That means I'm sharing week 25 instead, a typical summer week -- visits with cousins, going out to eat, crepe myrtles blooming, etc. The highlight of the week was when my father in law gave me his mother's box camera from the 1930s. It made a nice addition to my little vintage camera collection, but it's much more special than the others because the owner was Ben's grandmother. I remember that she always loved to take pictures. This must have been her first camera. I'm so glad she saved it! Six months down for 2012 and I can truly say -- I love this project. :) Check out The Mom Creative for more inspiration. I havent seen TCBY in ages!! And how are we half way through the year! Yes, I think so! At least I try to keep it simple! I just make a list of photos, print them out, journal on the cards and stick them in the pockets. 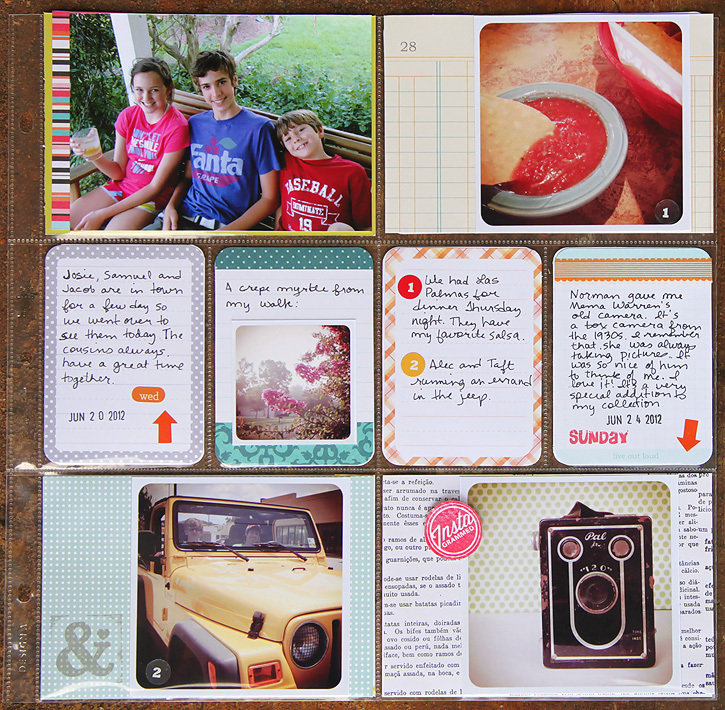 Then I add the stickers and date stamp and sometimes I do a bit more stamping here and there. That's it! I love this project too!!! You did a great job for the week!!! I love the colors in your spread! And your handwriting is awesome. always love seeing your pages ... and I'll admit I'm a little jealous of your "new" camera - very cool! I just Love your PL and your week 25! 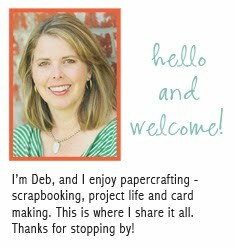 Hi, I just stumbled upon your blog from the Project Life site. I love all your photos and pages. I can't wait to start mine. I am also eagerly awaiting my first dSLR, a Nikon D7000, that should arrive on Thursday. I can't wait to start taking better pictures. One question for you, where do you get your instagram photos printed and where did you get that little "instagrammed" sticker? Congrats on getting the D7000! I've heard great things about that camera. I print my photos at home, but it you don't there are a few options. 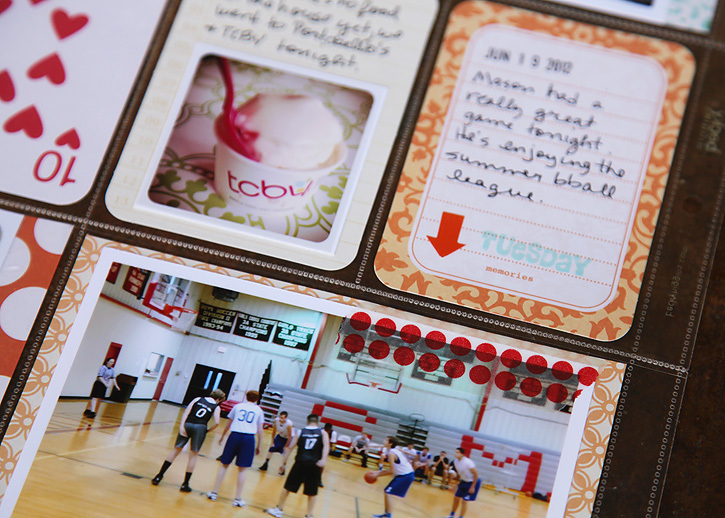 You can print directly from your phone using postal pix which is an app. I wrote a blog post that included info about that app here: http://www.debduty.com/2012/01/printing-instagram-photos-for-project.html. If the link doesn't work, look in my side bar under popular posts and it's the first one. You can also order square prints from some online photo printers. 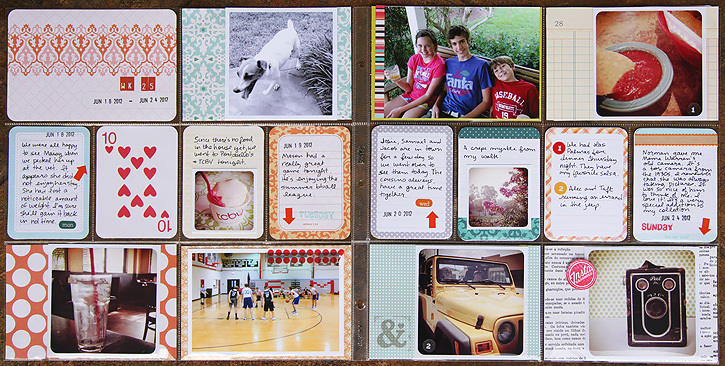 For shutterfly, after you choose the 4x6 size, select "custom crop" and then choose the square option. It looks like it will print it a little smaller than 4" square leaving the sides white so you could just trim them off. I'm thinking more and more printers will be offering easier ways to print instagrams soon because they're so popular. I've also heard that there are apps for some photo printers that allow you to upload directly from your phone, but I haven't used them so I don't know the names of the apps. The instagrammed sticker is actually a stamp. I cut out the image after I stamped it. It was made by Studio Calico, but I don't think it's available anymore. It sold out pretty quickly so I hope they will bring it back.